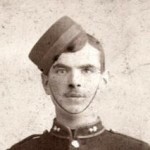 Percy Thomas Bass, 22, stood only 5 feet 3 inches (152cm) when he signed up. Like many of his fellow soldiers, he was, by our standards, skinny. His chest was a mere 35.5 inches (91cm) and he weighed only 116 pounds (8 stone 4 or 52.5kg). He had dark brown hair, brown eyes and a fresh complexion; he had a small mole on his left shoulder. 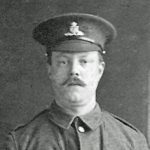 In civilian life he was a waiter but he volunteered at Cockspur Street on 10 September 1914, early in the war, for the King’s Royal Rifles and became a rifleman in the 7th Battalion. 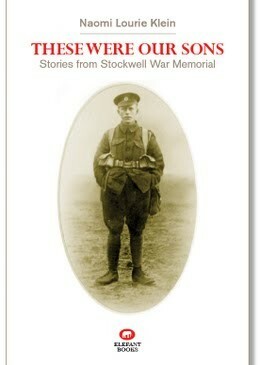 By 22 November 1915, his elder brother Frederick Charles Bass, 30, had died (his name is also on the memorial). 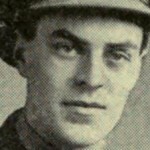 Another brother, Ernest Edward Bass was fighting in France in the British Expeditionary Force. The service record for Percy Bass in the National Archives shows that he was in England until 21 July 1915. He was docked two days’ pay for not turning up for reveille on 21 February 1915. 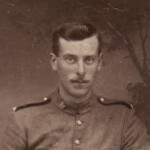 He was hospitalised in France for a day (9-10 December 1915). 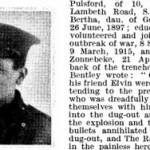 Percy died, killed in action, on 20 March 1916. 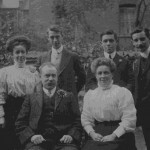 In 1901 Percy Bass was 10 and living at 58 Willington Road, Stockwell, with his father, William T. Bass, a widower aged 45 from Dover, Kent. William worked as a railway signalman. 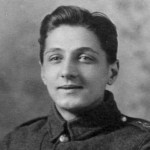 Percy’s brother, Frederick C. Bass, 16, was a number taker, born in Clapham, and his sister Emily Bass, 14, was born in Clapham. Percy was born in Stockwell.